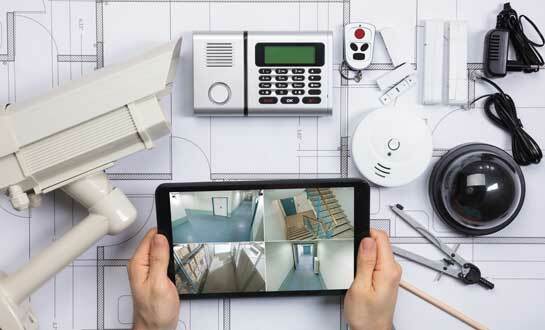 DIY or Professional: Which Alarm System is Right for You? Today, many products and services that were traditionally handled by experts are available in a do-it-yourself (DIY) format, and home security systems are no exception. To help homeowners find a reliable security system that can help protect their homes and loved ones, here are a few differences in DIY and professionally installed home security systems. Most homeowners opt for a professionally installed system because they want to be sure their families and belongings are protected and, let’s face it, most of us aren’t technically or mechanically savvy. A professionally installed system gives homeowners the peace of mind they seek.If you’re looking for a professionally installed system, it’s easy to find credible alarm companies that supply quality products. Simply click here and enter your zip code to get matched up with local companies that are members of the Electronic Security Association (ESA) . Once you select a company, a security professional will be sent to your home to perform a walk-through assessment and work with you to create a custom system that suits your lifestyle.With a custom alarm system, you can add on professional alarm monitoring from a central station. A monitored alarm will ensure that your home is protected whenever the system is activated – it could be when it’s unoccupied or when your family is asleep. If danger arises, a central station operator will be able summon first responders to your home on your behalf. In addition to professional monitoring, many of today’s systems allow homeowners to control their alarms remotely and receive alerts via a smartphone or tablet.There are several places to shop for a DIY system, including big box retailers, online marketplaces and even crowdfunding websites such as Kickstarter and Indiegogo. Many consumers turn to rating and review websites to help them navigate the sea of products. Once you’ve found a system, it’s up to you to decide how much equipment your home requires based on its size and layout. You may need to purchase additional units to ensure that your entire home is secure. Professional installation offers a hands-off approach for homeowners. After your home’s assessment, a trustworthy technician will install your new system, walk you through the steps to successfully operate the system, and answer any lingering questions. Security companies that are members of ESA employ highly-experienced technicians who install complex security systems every day, so you can be sure that your system will function properly. Maintenance your peace of mind. If you’ve chosen the DIY route, it’s time to open the box and get down to business. Setting up a DIY system isn’t rocket science, but getting the components of your system to communicate with one another may make you wish you had a degree in engineering. It’s imperative that you follow your system’s instructions closely, since a faulty installation can leave your home vulnerable to break-ins. System repairs can be complicated and frustrating, but when professionals are involved, you won’t have to do any heavy lifting. Just pick up the phone and contact technical support. Skilled operators can troubleshoot the issue and set up a time for a technician to repair or replace your system if necessary. Many companies also offer support on their websites via live chat, email, how-to guides and instructional videos. Whether it’s caused by human error or defective equipment, a malfunctioning DIY security system can be a headache – especially when you can’t get help. Depending on the length and terms (or existence) of your warranty, you may be able to call the manufacturer for support. However, be prepared to take notes or stay on the line for a while – you might be responsible for making the repairs yourself. With an abundance of products and features to choose from, selecting a security system for your family can be a challenging task. But, regardless of whether you take the DIY or professional route, pursuing the safety of your home and loved ones is always a step in the right direction.